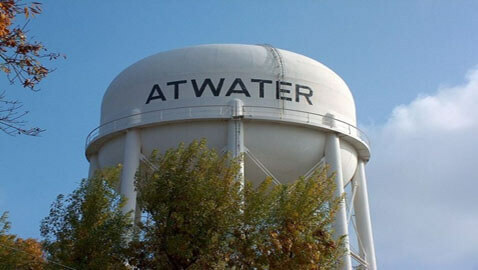 On Wednesday night, the city council of Atwater, California declared a fiscal emergency placing the city of 28,000 on the path towards bankruptcy. Three cities in California, Stockton, Mammoth Lakes, and San Bernardino, have already declared bankruptcy. Though California law requires local governments to enter into talks with creditors to avert bankruptcy, municipalities can bypass that requirement by declaring a fiscal emergency prior to filing for bankruptcy. In fact, San Bernardino, which filed for bankruptcy on August 1, followed the same strategy to evade prolonged discussions with its creditors. Atwater municipal funds were hit hard after the housing market went bust and property tax revenue dried up. Furloughs, layoffs, and a freeze on hiring were insufficient for Atwater to revive its economy and fix a current budget gap of $3 million. In a telephone interview with Reuters, Union representative Nancy Vinson said, “I believe they’re heading straight to bankruptcy.” She also mentioned at least 38 non-safety municipal employees of Atwater have received layoff notices, and about 12 are clearly marked for termination. Cities in California going for bankruptcy seem to be following the prior declaration of fiscal emergency strategy after Stockton, the first city to go bankrupt, only worsened its situation over a period of 90 days, by trying to reach a settlement with its creditors. In contrast, San Bernardino, which declared a state of fiscal emergency after preliminary talks with creditors failed, made a smoother bankruptcy application. Mammoth Lakes, which went bankrupt saying it could not survive a $43 million legal award against it, has since reached a settlement with the plaintiff in the concerned case, and may have its bankruptcy case dismissed later this month.